Audio Catechism ❤+❤ First Communion Or Confirmation, Or Both! Listening to an audio catechism is a peaceful way to learn the answers and prayers. 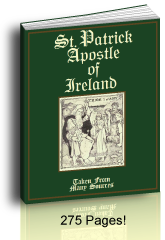 St. Anne's Helper audio catechism (CDs for gifts and Downloads for immediate use) are a giant help in reducing the effort necessary to memorize the Roman Catholic beliefs. and the prayers of the Rosary. We also have copybooks which help with both memorization and handwriting. Together the audio and the copybooks offer multi-sensory help for busy Catholic families. The First Communion CD covers the Baltimore Catechism No. 1 Communion questions and answers. The Confirmation CD covers the Confirmation questions in the Baltimore Catechism No. 2. To make these clips load faster we separated them to their own pages. If you are interested in the First Communion Audio Catechism, listen to Mary's Voice clip. 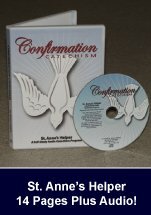 If you are interested in the Confirmation Audio Catechism listen to Anthony's Voice. 3. Need Audio Catechism CDs? Great Gifts Of Faith! Godparents for Godchildren before First Communion and Confirmation. Sponsors for adults studying the Catholic Faith. Family and friends of homeschooling families. Parents of public school students. Many parents have let us know that the audio versions have been like having a tutor to help with the review. This is exactly why we made these. 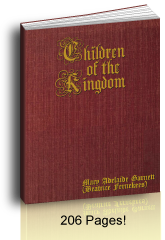 As we had five, six, seven, and eight children it became hard to find time to review the children's catechism well enough for them to memorize the answers. We have had many letters from pastors, catechists, teachers and parents who appreciate having Baltimore Catechism CD help with the memorizing. We've had letters from grateful parents whose children were dyslexic or auditory learners, meaning that they learned their catechism answers faster using the audio version. Using headphones was mentioned several times as the biggest help as the headphones or ear buds help block distractions. Once your children or students can pronounce the words, this First Communion Audio Catechism download will help them memorize or review the questions and answers. You can go directly to the Q&A that you want them to memorize and put the track on repeat for such answers as the Ten Commandments or the Apostles Creed. It's also perfect for audio learners, especially if they use headphones or earbuds. The same is true for your students who use the Confirmation Audio Catechism. They'll be learning or reviewing the Baltimore Catechism answers for Confirmation. They can even listen to the recording while riding to school or doing light chores - anywhere an MP3 player can go. This is awesome for adults! Audio Confirmation with printable text. The CDs are meant to relieve some of your burden of drill and to help your student retain many questions for any cumulative review before receiving the sacrament. 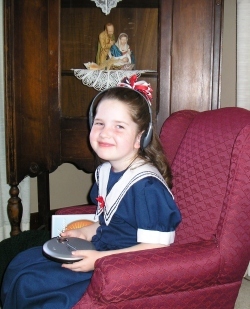 Listening to audio clips (at the pages above or Communion and Confirmation here) of St. Anne's Helper audio recordings can give you an idea of what the audio Baltimore Catechism CDs (or audio book downloads) sound like. It's nice to have a sample before you buy. Most Catholic parishes and home school programs use the Baltimore Catechism and most of them ask that certain numbers of the answers and Roman Catholic prayers be memorized. 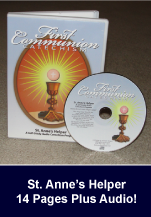 Saint Anne's Helper includes the normal questions that most Communion and Confirmation catechisms have asked, so these are very handy for young Catholic families. These recordings have two files even if you buy the CD. The second file has a printable text of the audio file. That way you can help your children prepare by knowing exactly what is said. We have an enhanced CD help page here. The audio feature is a God send for Catholic converts, too! Benefits of St. Anne's Helper audio catechism? 1880s and 1950s Baltimore Catechism version. Easy to memorize the Apostles Creed and Ten Commandments. Easy review of the basic Roman Catholic beliefs. Easy to give the CDs as gifts of faith. Each prayer or question with its answer is on its own track. Repeat for longer answers like the Apostles' Creed And Catholic Ten Commandments. St. Anne's Helper hereby gives you permission to print as many copies of the audio and the text as you want for your own home and vehicle, etc. You can copy the audio to the computer and to MP3 players, make a working copy on another CD to use in the van or car. Copy to more than one computer for safe keeping and for playing. Sometimes my children are listening while I work on the computer. Use "repeat one", "program", and pause to better memorize the more important questions. The "pause" function can be used by older children to simulate a quiz with self correcting answer. The “repeat one” and "program" features on CD players is a God-send for rehearsing a troublesome answer. Using headphones or ear buds can help some children to concentrate better. We know children who could not sit still long enough for the simplest answers, yet were thrilled when they were given ear buds to try with their new CD and the difference was like night and day. The catechism was right in their ears and made it easy for them to pay attention. Children and parents are thrilled! Many who are learning English as a second language, ESL, appreciate having the text available while they listen to the audio catechism. Having at least seen the text once can help a person remember the correct pronunciation and the correct spelling of words. May God grant us each the grace of a holy life and final perseverance. We pray for you and hope that you will pray for all of those who have helped to produce these CDs. Thank you for your interest. Click here for help using an enhanced-CD and running the audio catechism or retrieving the reproducible text of the exact words of the catechism, verbatim. The prayers are at the end of the First Communion CD to make it easier for the child to search for a question and answer track; yet the prayers should be learned before the questions and answers. The easiest way to learn the Communion prayers is to say the Rosary every day. If you can, have your children start memorizing the prayers early in the First Communion year or even the year before, which might lessen stress during the First Communion year. Many children already know the last half of the prayers that we use in the Rosary, but they'll usually be required to learn the whole prayer for receiving Communion since these are also used as penances in confession: three Hail Marys, Act of Contrition, etc. The Living My Religion series used three books to teach the First Communion questions, which means that it is usually good to start memorizing the prayers in Kindergarten. Be sure not to overload children. Ambient learning can be good enough for most of these answers. The Confirmation questions and answers are placed after the Catholic prayers on the Confirmation CD since older students are able to navigate past them easier than younger students. Refer to the text for the numbers on the tracks. Generally, these CDs are not meant to be listened to straight through. This can be fine for an adult catechumen review the Roman Catholic beliefs, but it would not be appropriate for a young child. They consist only of a list meant to be learned three to five questions per week. 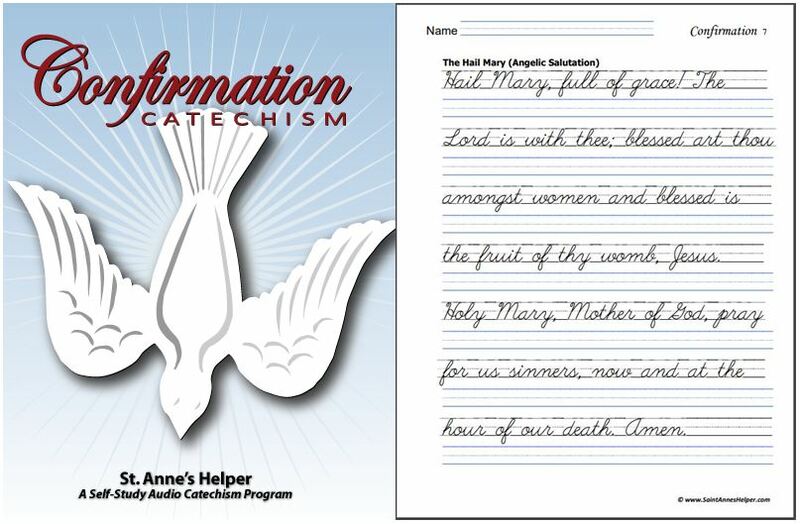 Our Catechism Copybooks are downloadable for immediate use for memorizing and for handwriting and spelling practice. 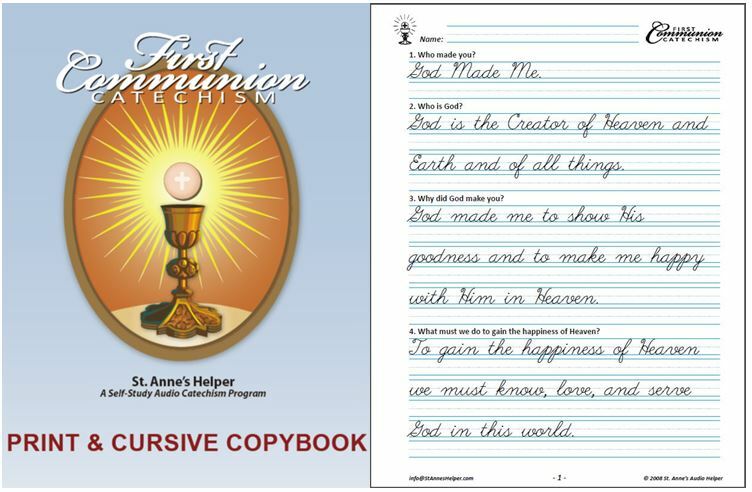 The First Communion Catechism Copybook uses either Manuscript or beautiful Cursive. You choose. The Confirmation Catechism Copybook uses either Manuscript or beautiful Cursive writing. Your choice. It can be nice to have both for further handwriting practice through the years. St. Anne's Helper has the matching First Communion Copybook (manuscript) and the Confirmation Copybook (cursive or manuscript). These copybooks also are verbatim from the same Baltimore Catechism text of the CDs. They are also excellent Catholic handwriting practice from an instructive and trustworthy catechism copybook. Expand these worksheets with our free coloring pages to print so that your children know and love the material they are studying. Each question and answer comes from Baltimore Catechism books with an Imprimatur.